Do you have clients who you are worried about? Adult children who live out of state? Adult childrDen who live nearby but have busy lives? Children who don’t get along with each other? Some new acquaintances who have begun to “help out”? Needs that are not being met and could make your client vulnerable? Is your client prone to purchase other financial products or attend seminars? Have you gone beyond your customary scope to serve this client? The answers to the above questions can help you determine if your clients are safe, living well, and have peace of mind. Knowing the answers will help you reduce your liability and retain the client when her circumstances change. Your quarterly follow up visits and annual overview are great opportunities to help your client keep his estate plan up to date. You can really help this client by guiding him through the Estate Planning process. 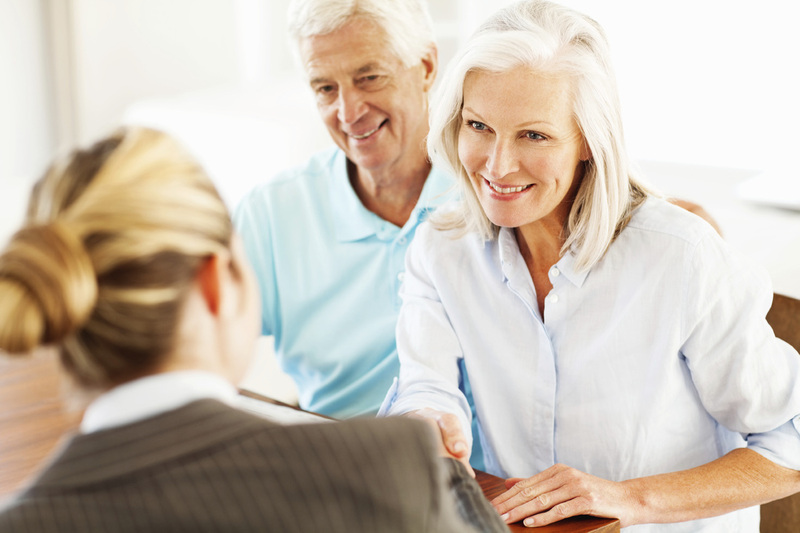 Help the client begin by encouraging him to contact a reputable Estate Planning Attorney. When the client is ready to name a Successor Trustee, have a list of Professional Fiduciaries with whom you are acquainted or with whom you have worked. You can help the client choose by assuring him that a Professional Fiduciary, acting as Trustee and Executor, will help to ensure the continuity of the client’s plan, as you and he have developed it. If the client's trust goes to a bank or trust company, you may no longer have the opportunity to manage for him. Check the prospective fiduciary’s license at Fiduciary.CA.gov. If your broker/dealer has a trust department, or trust company, be sure that it meets your standards for client care and attention, or be willing to supplement with your own services to the client. If you have ever considered changing your broker/dealer relationship, this may be worth considering – whichever company you work with, or if you are an independent, the Professional Fiduciary can rely on you to continue managing the client’s funds, just as the client did, no matter where you are, when the relationship means more than the platform of service. Once named as Successor Trustee, a bank or trust company has its own investment department which, regardless of service or performance, will manage the clients funds, once the trust document becomes effective. Learn more about potential fiduciaries in “Who Needs a Professional Fiduciary?”. A Professional Fiduciary (like Jane, Marguerite, Clay, and Noah), working independently, has the flexibility and responsibility to select the best financial services resource for each trust she manages. At Lorenz Fiduciary Services, we will never sell financial products, as we always rely on the expertise and professionalism of the financial advisors with whom we work. The cases we manage either come with a financial advisor, or if the client did not have one, we hire a financial advisor once we become trustee. The financial advisor is asked to produce an Investment Policy Statement for us. We work through the plan together and we keep you, our financial advisor informed as to financial changes such as medical costs, client needs and subsequent additions to the investment portfolio (such as proceeds from real estate). Discuss the future beyond retirement; what gives the client a sense of purpose?